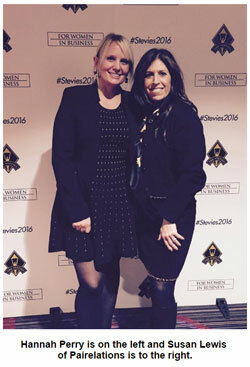 Stevie Award-winner, The Giggling Pig of Shelton, CT won a Bronze Stevie Award in the 2016 Stevie Awards for Great Employers. They share what winning the Stevie Award for Engagement / Happiness Team of Year means to their organization. 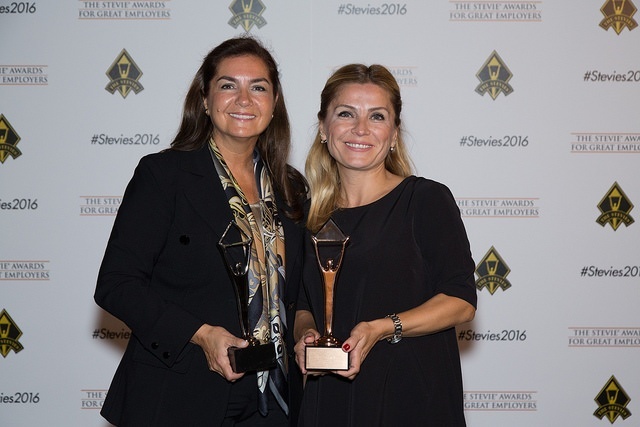 Interested in participating in the 2017 Stevie Awards for Great Employers? Request your entry kit here and it will be emailed to you in March when the competition opens. What does The Giggling Pig do? The Giggling Pig is an art and party studio that enriches the lives of children and adults through creativity. What is your role as the founder and owner? My job as the owner is to manage the overall business and to create and develop a range of art-focused programs. I'm always finding new ways to connect with my customers through art. The long-term vision of this business is to reach as many people across the country and globally by bringing creative projects to homes and facilities. The reason we were nominated for the Happiness award was for our work with children and adults with special needs. As a team, we have really made a difference in the lives of many people with our outreach program that allows us to visit assisted living homes and hospitals to share art with those in need. We also employ a few special needs staff members to provide them a welcoming place to learn and grow and the opportunity to feel included and important. I’ve heard about the Stevies for a few years through social media outlets. I was inspired to get involved and be considered. What was it like for your company to win a Stevie Award? To win an award for the happiness we have brought to our community and surrounding areas is a great honor. It means so much that the judges saw the value in our work. After winning the award, we’ve noticed more special needs facilities reaching out to work with us. This recognition has had a positive effect on our business and affords us the opportunities to positively impact many more people through creativity. It has truly helped us elevate and solidify our credibility. It’s an objective third-party recognition that supports and honors our mission and contributions. That is very comforting for our customers. We are beginning to expand our services as awareness of our Company grows. Having this recognition has inspired me to continue to grow our outreach program. I enjoy what I do so much and when you’re doing something that truly enhances people's lives, and you see the joy it brings, it's contagious. I will never stop doing this. I came to this country with $15 and built an enterprise for the good of others. It is so rewarding, and for that, I am extremely grateful.